Does your dog runoff chasing another moving creature when all you wanted to do was take a nice, simple hike? Do you just struggle there with all the weight you are carrying unable to keep up with your friend? Don’t you just sigh thinking this is not the way it was supposed to be? Yes, your canine friends can be a handful at times. But, a great way to keep them on a lease is to keep their hands full. One particular way to do that is attaching a bag pack to them! It not only switches the dog to work and discipline mode but also lets both of you share the load you are carrying. However, choosing the right backpack for your dog is a difficult task. It’s not just the quality that matters but the type as well. In order to help you choose the best dog backpack for your partner in adventures, we have not only included a buying guide in this article but also the four of the best dog backpack for your dog. The wrong backpack can really hurt your dog. And, we know that you do not want to do that. So, here are a few tips that should help you give your dog the perfect adventure. No matter how big your dog is, you should always go for lightweight backpacks. You can always add a few pounds to the bag but if the bag is too heavy, you cannot cut off pounds that easily. Moreover, you should always be careful about how much weight you put on your dog. The bag should not be more than 25% of your dog’s weight. A heavy bag will put too much pressure on your dog and can be very harmful. So, it’s best to choose a lightweight bag and slowly get your dog accustomed to more weight. You will definitely find backpacks that are the perfect size for your dog. However, they do not always prove to be perfect if their straps are not adjustable. You can make your dog feel perfectly energized and comfortable by adjusting the straps to its own proportion. Do not make it so tight that your dog feels suffocated and do not make it so loose that the bag comes off. Since you and your dog will obviously be taking breaks on your way, none of you want to relax with your backpack on. On the other hand, removing the whole pack from your dog can be a bit of a hassle. With removable packs, you can easily remove the pack for the time being and put it back when the time comes. Even while crossing a water body. The pack has its own purpose. It is to carry necessary things for your dog. So, check if the space the pack provides is adequate enough for your dog. Moreover, look for packs that distribute the weight equally throughout the space. You do not want your dog to feel heavy on one side and free on the other. Lastly, check for outside compartments or divisions that can come handy. You do not want the pack to get wet let alone, the things kept inside it. So, it’s best to choose a backpack that’s water-proof because you don’t know what the long hike might bring. Alright, this may be the least important of all to consider. But, there will be times when you will have to use the handle to lift your friend up. Your dog definitely weighs a few kilos and you do not want to hurt your hand lifting it up. So, a padded handle will reduce one difficulty by making your hand feel at ease and comfort. Sets your dog to work mode: Most dogs are a handful when it comes to walks. They tend to run after excitedly at the least interesting moving things. But, when you attach the backpack with it, your dog knows it’s business. It somehow senses that it’s not just a fun walk you both are taking but an actual mission you are on. So, it stays focused and disciplined. Provides better and faster exercise: By attaching the correct amount of load to the backpack, you can cut off exercise time. The weight of the backpack itself makes the walk tougher. So, your dog gets tired sooner and also the adequate amount of exercise it needs. Acts as an extra hand for carrying the load: Your dog is carrying half the weight you were supposed to carry. That definitely makes your adventure merrier. You have reached the part where we tell you about the four best dog backpacks in our knowledge. Let’s get started! Just as the name suggests, this backpack is great for a full-day hike because of all the comfort and ease it provides. As the bag pack is supposed to carry the essentials, you can keep them in the pack without causing any trouble for your dog. Because Approach distributes the weight evenly so that your dog does not feel any noticeable strain. Moreover, there are pockets from which you can easily take the frequently used items out. 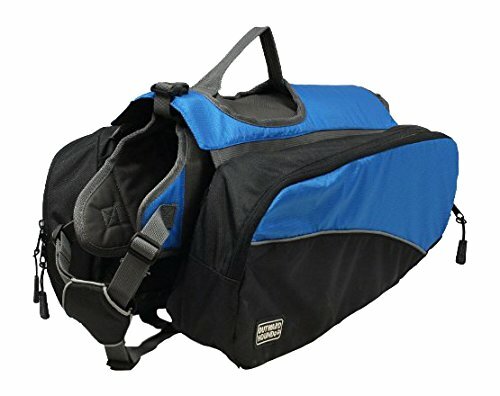 The weight-forward saddlebag design also makes carrying the bag very convenient for your dog. You can choose from the five different sizes they offer. The integrated harness they provide is quite effective in what it does. If it gets dark you will have nothing to worry about as the reflective trim will help you keep track of your dog. The handle is padded and straps are adjustable and non-slip. So your dog can move all it wants, the straps won’t cause a problem. Forget everything and just look at the backpack. How cool does it look! The best thing about this pack is its vintage style. Your dog may be mischievous and do poorly on walks but it will look majestic with this backpack nevertheless. Moreover, it does not just look good but feels good as well! The cotton used has been carefully chosen and provides as much comfort it can to the dog without hurting the skin. Moreover, it helps to distribute the weight efficiently so that the dog does not face any difficulty. It also includes two zippered pockets on two sides to keep your essentials in place. The stitches are perfect as well to keep everything in place and last longer. Apart from all that, the adjustable straps make it a comfortable fit for any dog of medium and large size. This backpack comes in various sizes but there have been reports that some of them were too huge for dogs. The first unique thing that you might notice about this product is the mesh pockets. The mesh helps improve the breathability of the bag and the mesh pockets help to keep those water bottles in place. And, with those liquids held in place, your dog will definitely have a better time. 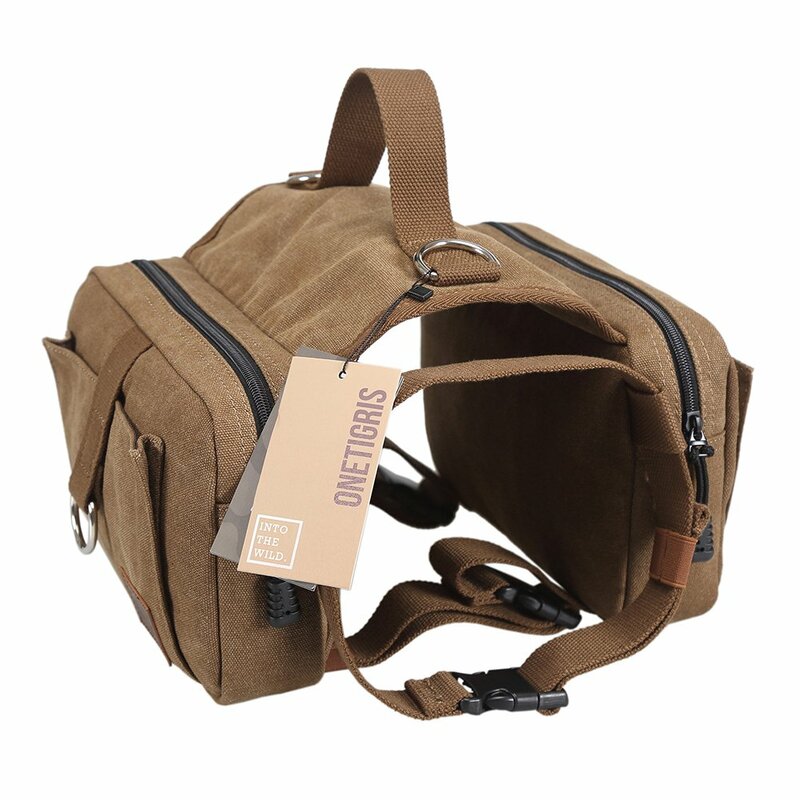 The saddlebag style helps the dog to easily carry the load but applying weight to the right areas. Moreover, if your dog needs a break you can remove the saddlebag for a while as it’s removable. Adjustable straps make it an easy fit for the canine and provide comfort with its ergonomic design. The bag has reflective color accents to improve visibility. Moreover, the pack is quite spacious and has wide openings with durable zippers. This backpack is great for both comfort and control. Kurgo has taken care of all the issues that come with comfort and adjustability with this model. 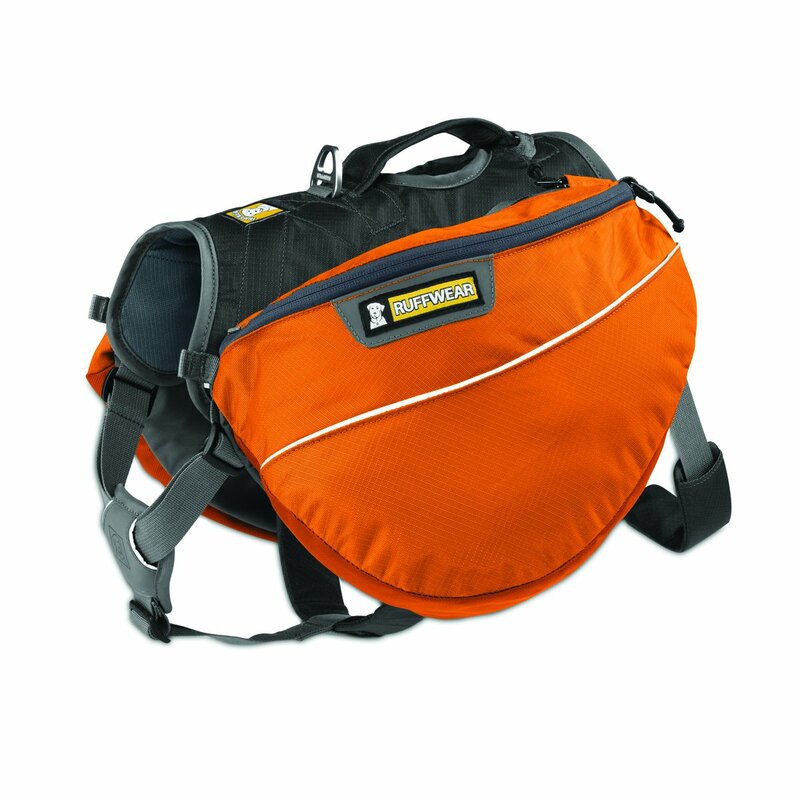 The spacious saddlebag comes with exterior zippers that you can use if you think you need more to go with you. However, it’s a bit bigger and heavier than other backpacks and is probably best for larger dogs. Its big size and design, in fact, makes it perfect for long walks and hikes. Apart from that, it comes with eight adjustment points for the straps to make your dog feel perfectly prepared. The handle is quite large which helps you have a better control of your dog. Also, the reflective trim strips allow your dog to see well. The rear-mounted lease hook and integrated harness also help you keep an easy control over your dog. How many cups (of food) can these backpacks usually carry? Answer: Each of them has their own capabilities. The Kurgo backpack, for example, has more space and strength. But, on average, they all can carry around 5-6 cups. Do the backpacks stay in place if the dog runs? Answer: Yes, it is supposed to. In order to keep it stable and in place, the weight has to be distributed equally across the pack. 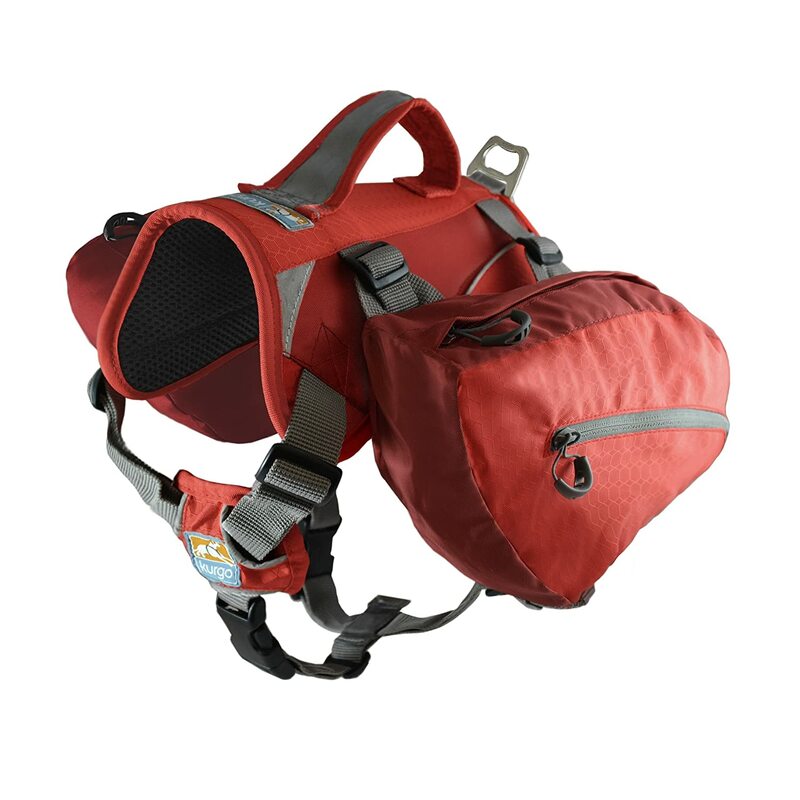 Moreover, if the straps make the fit perfect for your dog, the pack will stay in place. Dogs are the best friends that every human should have. Taking them on adventures is an adventure itself. Since none of you want your dog to be uncomfortable and unhappy during their happy time, it is best to make sure that they are using the right backpack for themselves. To be the good boys and girls, you want them to be, they should carry their own weights. However, the task should not hurt them. 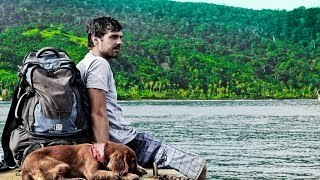 Therefore, choose the best dog backpack for your partner in the hikes and keep them comfortable and focused. This way your dog will not just have a great time but require fewer efforts from you to make it happy.